p>Otter Tail County was established through a legislative act in 1858. It was named for Otter Tail River, which flows into Otter Tail Lake before joining the Bois de Sioux, thus forming the Red River of the North. These waters ultimately flow into Hudson Bay. The first European settlers to inhabit the county were French and British fur traders. With its rich pine and hardwood forests, however, the area quickly became a thriving lumber center. We experience an average of 197 sunny days each year. The average high temperature in July is approximately 82 degrees. Low temperatures in January plunge to around -3. Annual rainfall is about 25 inches, with yearly snow accumulation of roughly 46.8 inches. Our students attend classes in neighboring Fergus Falls, Ashby or Underwood. Minnesota State Community and Technical College, along with the University of Minnesota-Morris, provide continuing education in the area. Lake Region HealthCare Corporation in Fergus Falls provides medical services. Prairie Ridge Hospital and Health Services is just 13 miles away. The Pine to Prairie Birding Trail is a well-known attraction for nature lovers. The trail passes through pine forests, deciduous woodlands, native tallgrass prairie, aspen parklands, sand dunes, marshes, bogs, lakes and rivers. This diverse environment is home to over 275 species of bird. 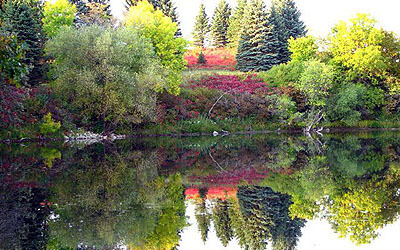 The Otter Trail Scenic Byway also captures the natural beauty of northwestern Minnesota. This 150-mile loop features 23 tourist sites, many with picnic areas and wonderful vantage points for watching wildlife. Travelers can stop at the Otter Tail Historical Society Museum, the Prairie Wetlands Learning Center, or Inspiration Peak, the state’s second highest point. Of course, there is an abundance of crystal lakes & rolling hills along the way. Otter Tail Lake is among the area’s most popular recreational destinations. It is the largest lake in Otter Tail County, and the 10th largest completely within the state of Minnesota. Lined by deciduous trees, the lake is teeming with Walleye and northern pike, making it a popular fishing spot. Conditions are also ideal for sailing and water sports. 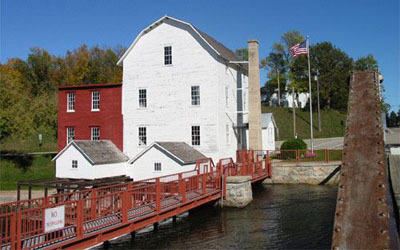 A Center for the Arts in Fergus Falls is home to live music, dancing and community theater. Kaddatz Galleries, located in downtown Fergus Falls, is a gallery devoted to local artists and their creations. Be sure to stop by our United Country office in Fergus Falls. We can help you find your freedom in northwestern Minnesota.